Knocking on every door in the Greater Lexington area is one way to get the word out about your business, but it isn’t cost effective. 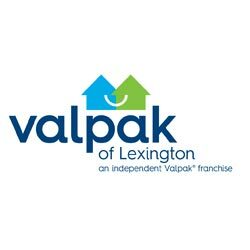 Valpak and its Blue Envelope® of coupons empowers you to take your print message to the neighborhoods most likely to respond to your brand’s products and services. Our shared mailing system saves you money on direct mail marketing, and it’s precise. We’ve mapped out the entire area into groups of 10,000 households we refer to as NTAs (Neighborhood Trade Areas). Valpak will mail your brand’s message to as many or as few of these NTAs as you’d like, making your dollar go further and improving the likelihood your message makes it to receptive households. And you can mail your targeted NTAs monthly, seasonally or occasionally. You can also try new NTAs or different approaches to fine tune your message and its delivery. Work with us on an ad campaign and choose the mail format that serves your company best.